I am creating now a bracket shaped album and I wanted to share with you the SCAL file that I used. The file you will download is without the watermark and it is all yours. All you need to do is become a follower and please leave some love for the designer. Feel free to link this post on your blog. 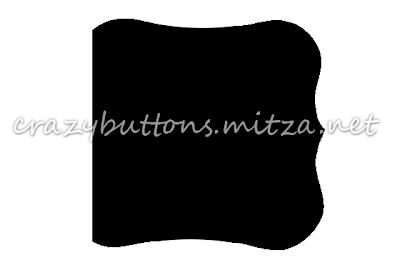 Press here for the svg file and here for the png file to use for you digital scrapbooking. NOTE: When you want to cut front and back from two different pattern papers (and glue them together), the back has to be the mirror image of the front.......therefore place your paper face down on you cutting mat. This is a wonderful all around svg. Thank you. Thank you for this svg file. I need to make An album like this. Cool - I love it. I have been looking for this for a long time. Thank you so much!! !